From as early on as the 1950‘s, the Croatian Archipelago in the Adriatic Sea as well as Bulgaria’s Black Sea coastline, were amongst the most popular tourist destinations in southeastern Europe, attracting both local and foreign visitors to their shores. However, the turbulent recent history of the Balkans and the violent Yugoslavian wars in the 1990’s left a deep scar on the face of the region. Unsurprisingly, the local tourist industry didn’t escape unscathed either; what were once prestigious seaside resorts and exclusive holiday estates in the 1960’s and 70’s, are now, to a great extent, deserted ruins or modestly refurbished guest houses, a mere shadow of their glamorous past. 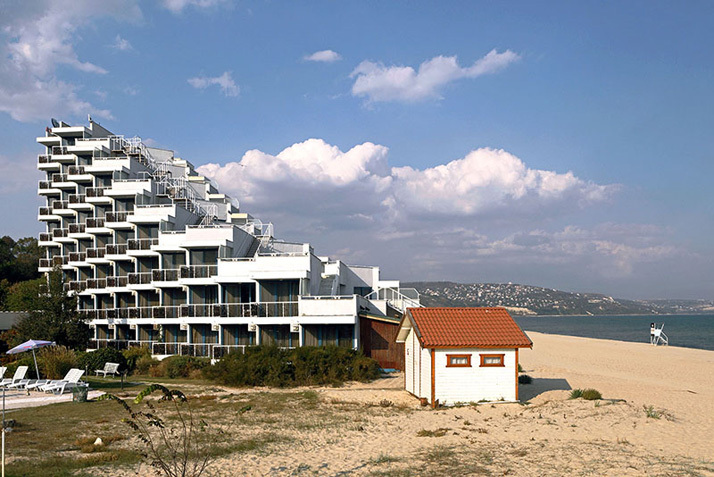 This bittersweet yet fascinating story of holiday-related architecture in the Balkans is the subject of the book ‘Holidays After the Fall: Seaside Architecture and Urbanism in Bulgaria and Croatia’. Published in August 2013 by Jovis Verlag, Berlin, the book provides a detailed and well-informed account on holiday architecture in the countries both before and after the fall of the Iron Curtain. Hotel Haludovo in Malinska, architect: Boris MagasÌ, 1972. Photo © CCN Images, Zagreb. Hotel Ambasador in Opatija, Croatia. Architect: Zdravko Bregovac, 1966. Photo © CCN Images, Zagreb. Haludovo Resort, Malinska, Krk Island. 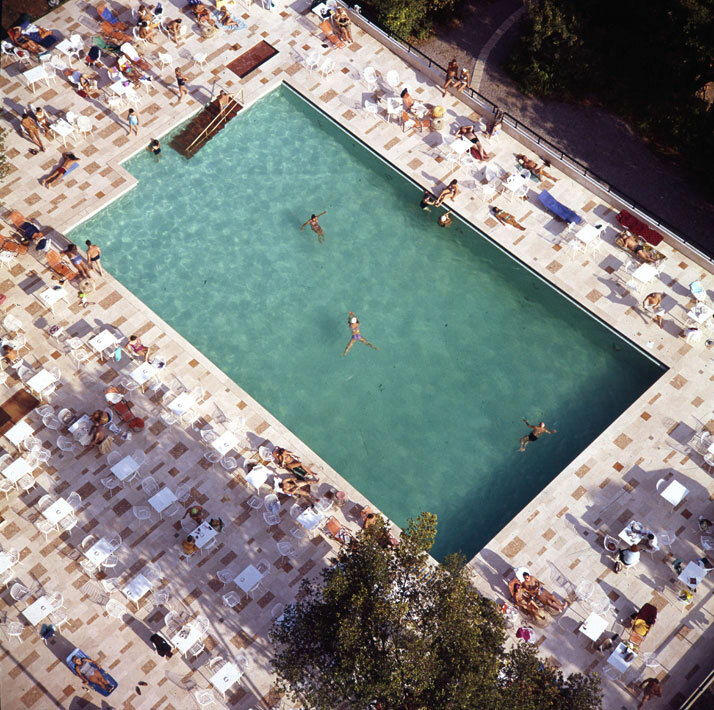 Architect: Boris MagasÌ, 1971-72.The pool in front of the Hotel Palace at the heart of the resort upon completion. Photo by Boris MagasÌ, 1972. Photo © CCN Images, Zagreb. Hotel Glarus, Bulgaria. 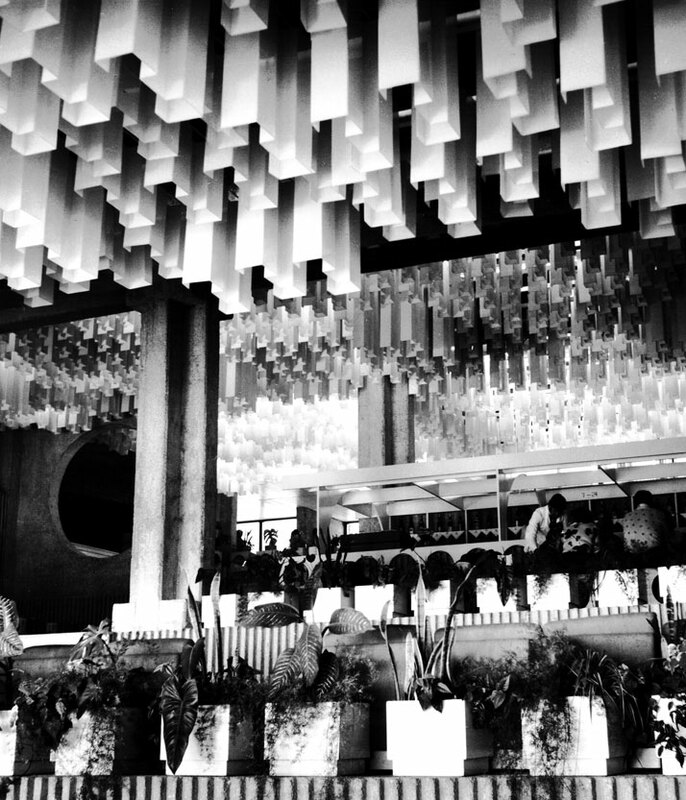 Architects: Georgi Ganev, Diana Popova, 1960. Photo © CCN Images, Zagreb. 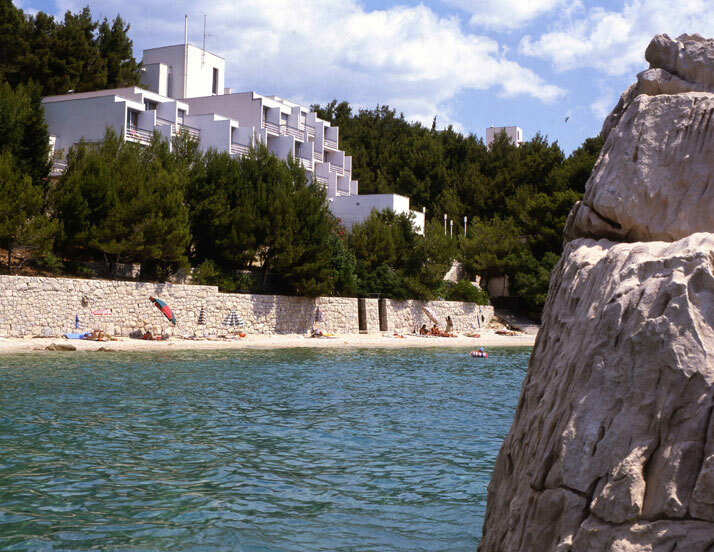 Haludovo Resort, Malinska, Krk Island. 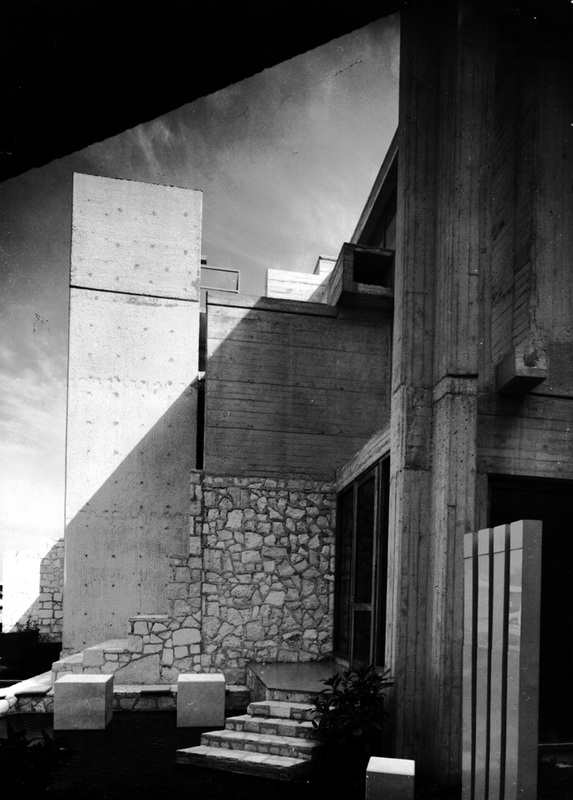 Architect: Boris MagasÌ, 1971-72. 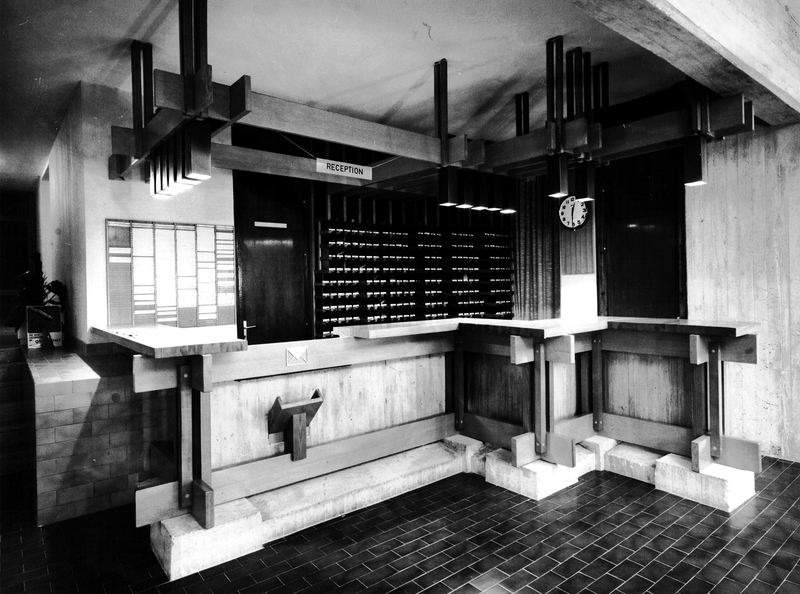 The bar area in the terraced ‘hanging garden’ lounge, now derelict. Photo: Daniele Ansidei 2012. Photo © CCN Images, Zagreb. Ever since their conception, resorts have always been a place for relaxation and recreation; designed with one goal in mind, these playgrounds for adults have invariably aimed to make the guest happy. 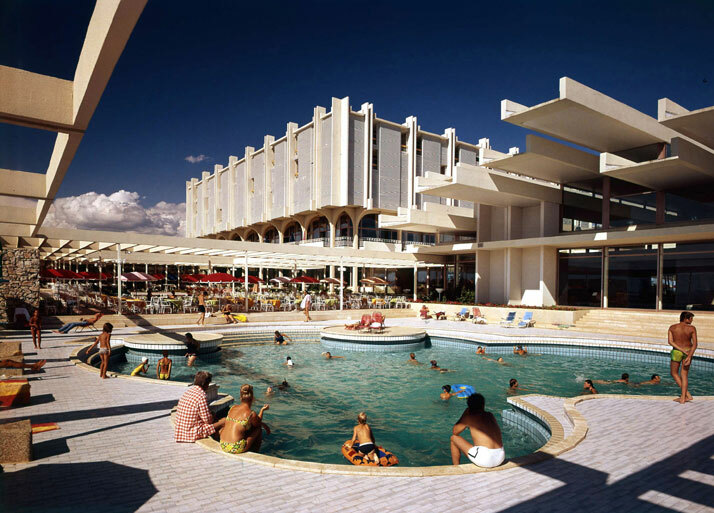 Naturally, Croatian and Bulgarian soviet-era resorts were no different: with developments ranging from nationalised relics of aristocratic and bourgeois tourism culture, bare-minimum trade union holiday houses, camping reservations and chalet parks, modernist high-rise hotels with meeting, convention and spa facilities, through to architecturally aspiring Structuralist complexes and luxury hotels, these resorts were meant to appeal to guests as stylish, exuberant, cosmopolitan destinations to meet and socialise amongst like-minded people. 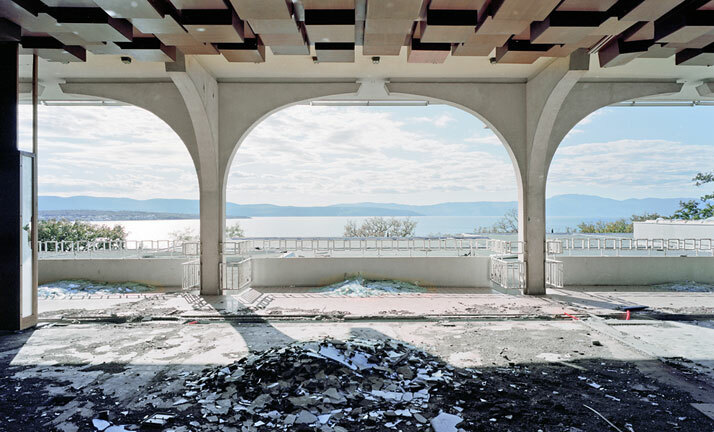 Haludovo in 2012: an investment ruin. The abandoned swimming pools of the Hotel Palace. Photo: Daniele Ansidei 2012. Photo © CCN Images, Zagreb. Hotel Gergana, Albena, Bulgaria. The Black Sea coast resorts at the close of the season in 2012, photo by Nikola Mihov. Photo © CCN Images, Zagreb. Hotel Journalist in Chayka, Bulgaria, side view of the facÌ§ade. Evidently, hardly any changes or repairs were ever made to the original materials. Photo: Nikola Mihov 2012. Photo © CCN Images, Zagreb. Hotel Astarea in Mlini, Croatia. 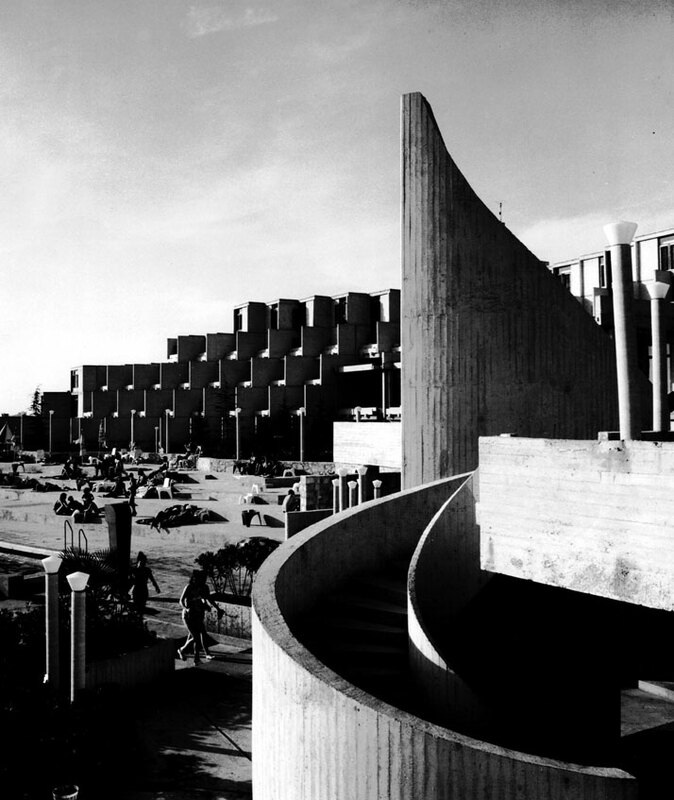 Architect: Bogoljub Kurpjel, 1970. Photo © CCN Images, Zagreb. Hotel Argentina - Villa Dubrovnik, Croatia. 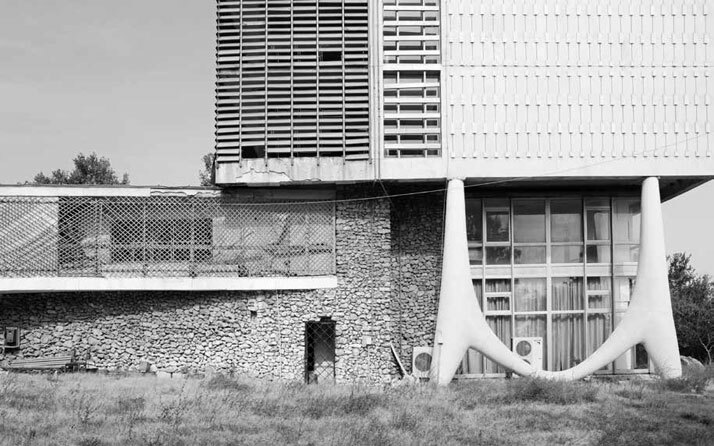 Architect: Mladen Frka, 1961. Photo © CCN Images, Zagreb. Often ahead of their time in terms of scope, design and refinement, these dazzling architectural and urban developments took the form of distinctive modernist structures, located in pleasantly landscaped parkland and natural settings. 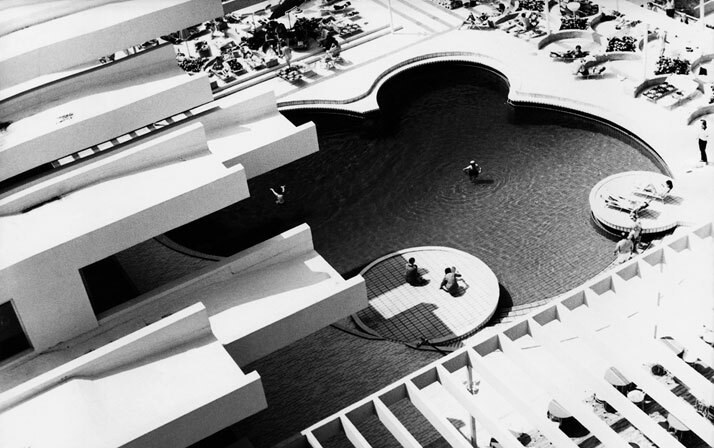 In depicting the story of the resorts, the editors and writers of ‘Holidays After the Fall’ also take the opportunity to point out how this kind of large-scale, luxurious holiday architecture also served the purposes of being used as a political tool, fostered by socialist governments as a means to increase their appeal in western countries, especially the USA. 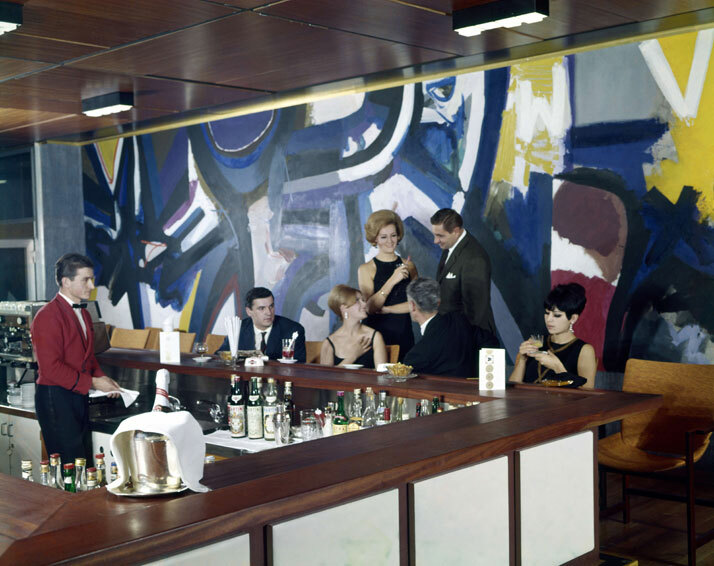 Case in point, the Hotel Marjan in Split, Croatia, which was designed to look like a Hilton hotel – cosmopolitan and glamorous, the resort came to be known for attracting members of the international elite such as Sofia Loren, Orson Welles and Prince Albert of Monaco in the 1960’s. Twenty years later, Hotel Marjan was requisitioned as emergency accommodation for war refugees, before being modestly renovated as a three-star hotel. Hotel Barbara in Borik / Zadar, Croatia. Αrchitects: Zdravko Bregovac, Ivan Filipčić, 1970. Photo © CCN Images, Zagreb. Richly illustrated with detailed maps, plans, drawings and photographs (all accurately annotated and deliciously laid out), ‘Holidays After the Fall’ is ideal for professionals who are seeking an in-depth look into, and account, of the history and design of these buildings. 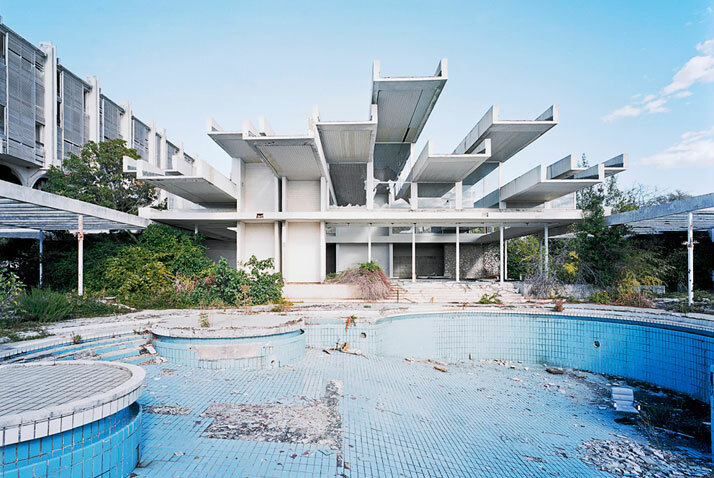 The book also provides a detailed analysis of how the economic and physical restructuring of these resorts has resulted in a mixed and fascinating legacy of deserted ruins, cautious renovations, exorbitant transformations and ongoing public protest. With the added focus on the social history of the most significant resorts from the era, the book casts the story, which despite the element of the riches to rags storyline, is told in a positive light. After the region's turbulent and much publicised modern era, the time may have finally come for the plethora of these ready-made seaside infrastructures to be revived once again. 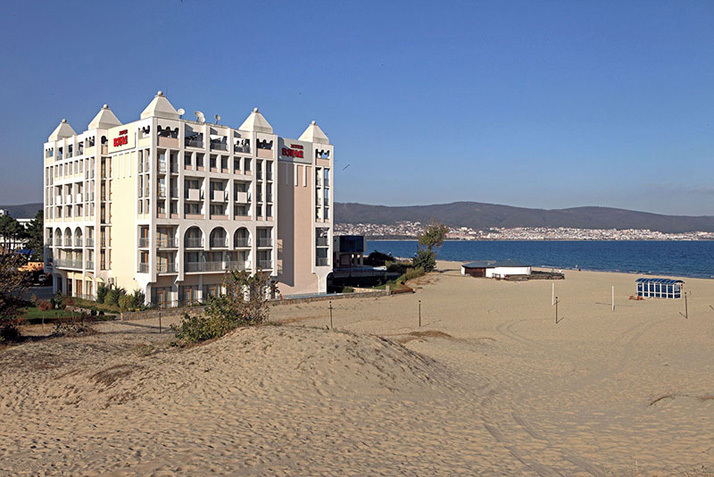 Hotel Viand, Sunny Beach, Bulgaria. The Black Sea coast resorts at the close of the season in 2012, photo by Nikola Mihov. Photo © CCN Images, Zagreb. Hotel Berulia in Brela, Croatia. Αrchitect: Ante RozÌicÌ, 1971. Photo © CCN Images, Zagreb. 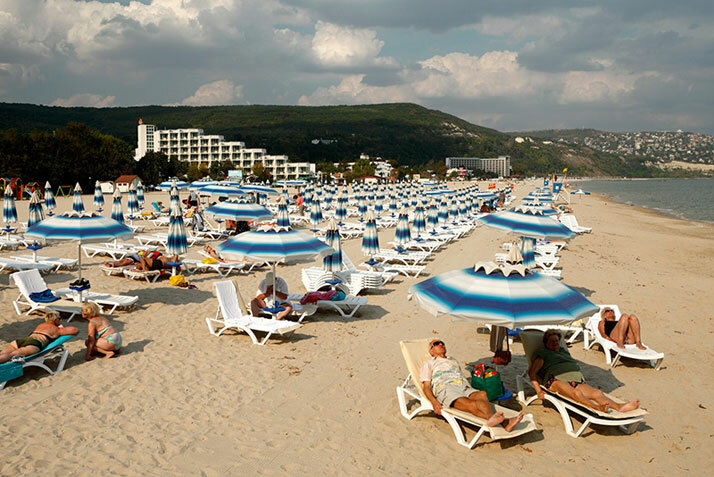 Central beach, Albena, Bulgaria. The Black Sea coast resorts at the close of the season in 2012, photo by Nikola Mihov. Photo © CCN Images, Zagreb. 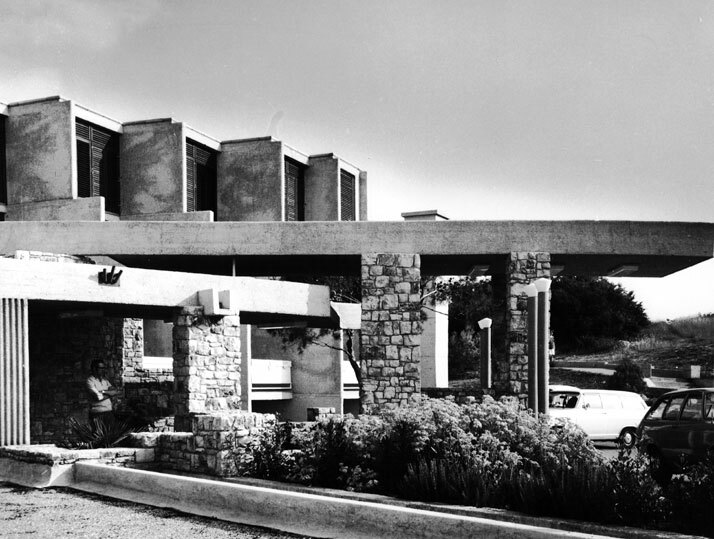 Entrance to Hotel Rubin in Brulo resort in PorecÌ, Croatia, 1970. Photo © CCN Images, Zagreb. 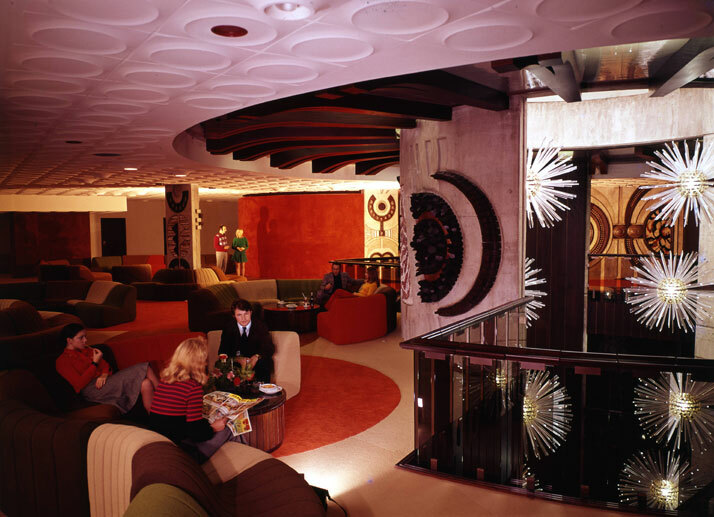 The terraced lobby of the Hotel Rubin in PorecÌ, and its impressive light and glass ceiling installation, sadly, neither of which has survived, architect: Julije De Luca, 1970. Photo © CCN Images, Zagreb. 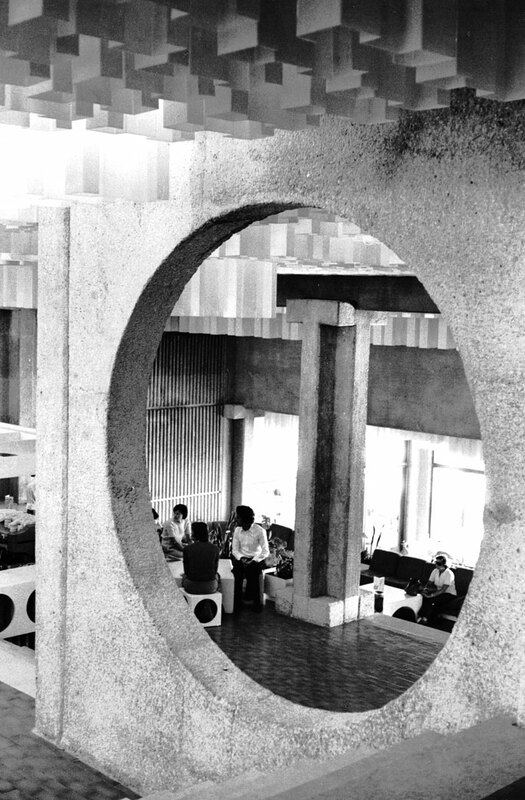 The Hotel Kristal, a dramatic orchestration of exposed concrete and natural stone, drawing on the architectural languages of Structuralism and the regional vernacular, 1970. Photo © CCN Images, Zagreb. 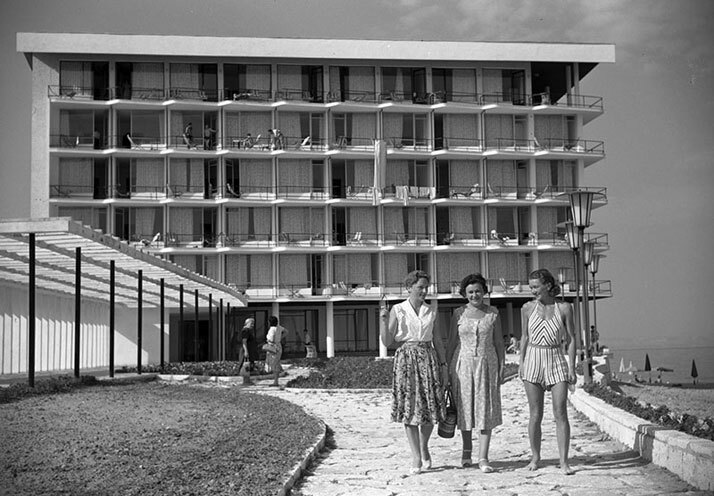 Hotel Rubin in PorecÌ, architect: Julije De Luca, 1970. Photo © CCN Images, Zagreb. 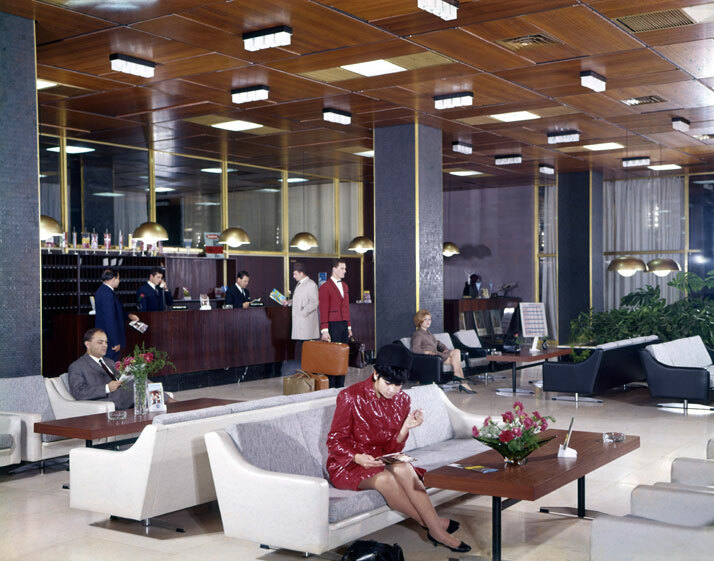 Reception area in timber and exposed concrete at the Hotel Kristal in Poreč, architect: Julije De Luca, 1970. Photo © CCN Images, Zagreb.